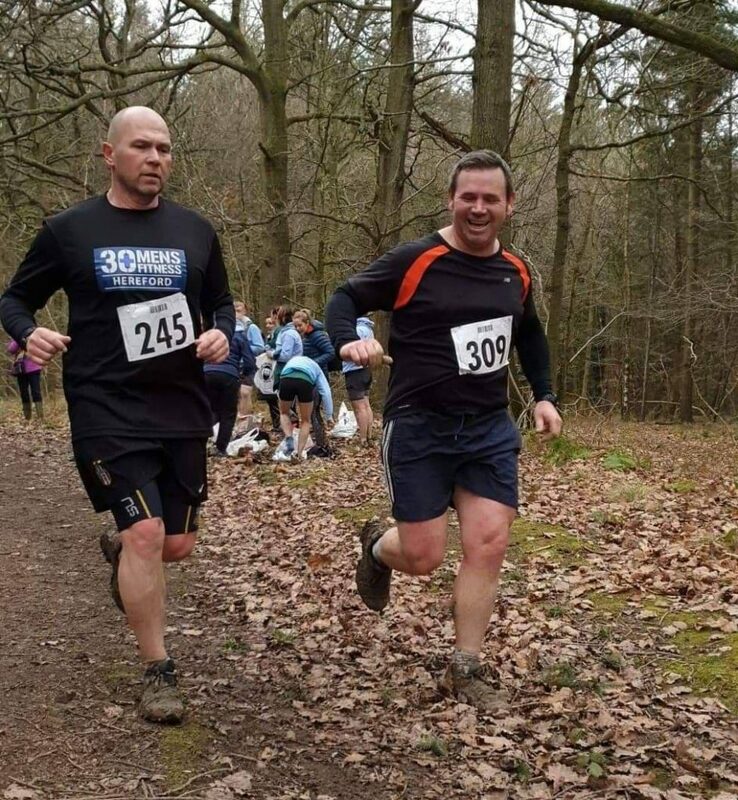 Now that the evenings are getting lighter, and the worst of winter is behind us, a lot of the lads in our Facebook group are dusting off their running shoes and signing up to local races to keep themselves accountable. However, a lot of lads haven’t run that much in the past, or have tried but ended up injured or in pain. You might see the words “Tough Mudder” and think it’s way out of reach. Here’s what some of the 30+ Men’s Fitness lads have tackled recently. 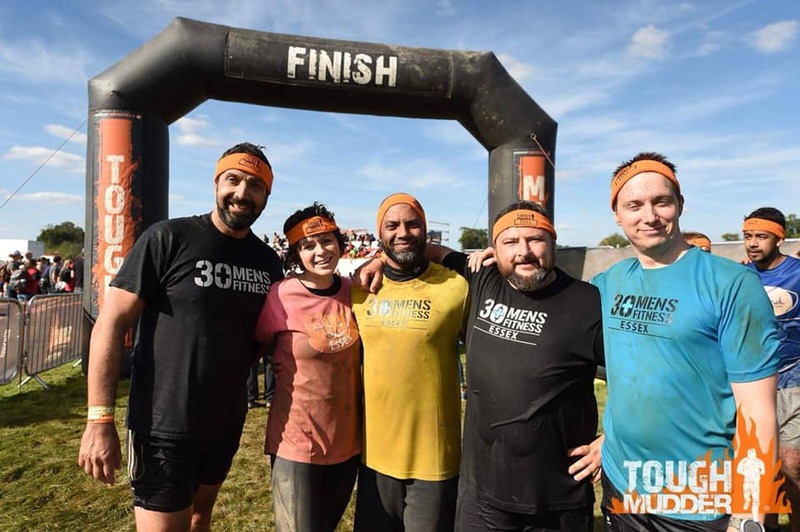 We did the 10 mile Tough Mudder last year and it’s really worth committing to something I joined the 30+ Essex Bootcamp in July 2018 with no intentions to even thinking of doing it. After completing the 12 weeks boot camp there was so many people in the group doing marathons and other OCRs so thought why not give it a go. It was bloody hard and I faced a few fears and overcome them , all with the help of my over 30 brothers and sister Simone. In my head, I was nowhere near fit enough and was very apprehensive when I turned up up But one thing was made very clear to me when I arrived it’s not a race it’s about being part of a team and helping others. Believe me give it a go! – Ged, 30+ Men’s Fitness “The Brotherhood” client and Essex Bootcamper. – Steve, 30+ Men’s Fitness “The Brotherhood” client and Hereford Bootcamper. None of these lads were born with running shoes on. They just followed the 30+ methods to drop weight and increase strength and stamina. 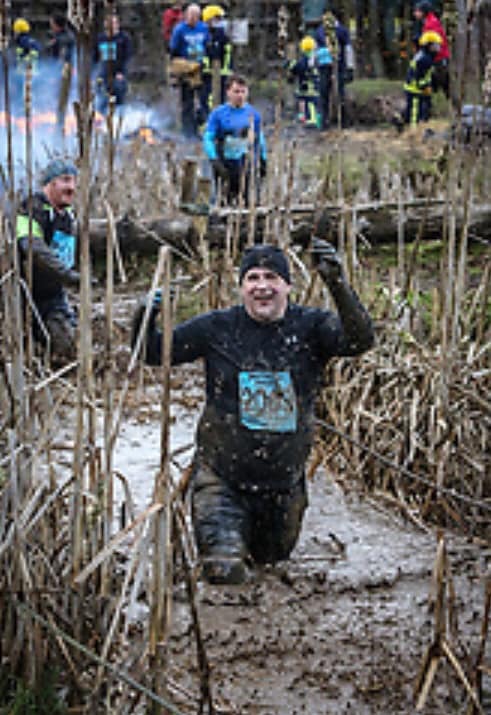 If you’ve always fancied tackling a Tough Mudder, but felt it’s out of reach, then I have the perfect training plan for you. Check out our Tough Runner plan. 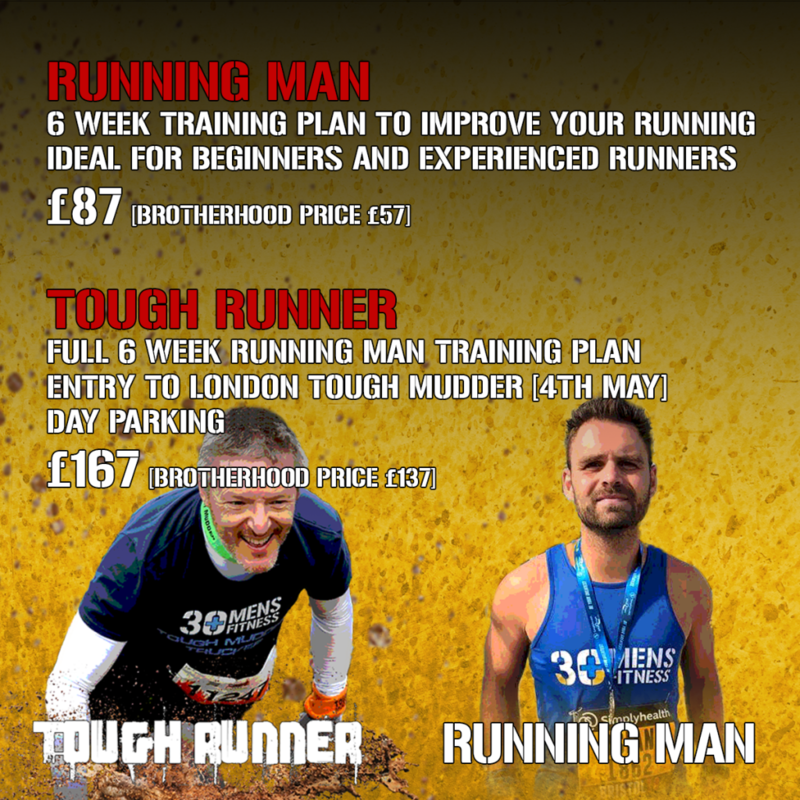 This includes the 6 week Running Man plan, and entry to the London Tough Mudder on the 4th May. We’ve got over 100 30+ lads already booked and paid, so you’ll be running with a massive group of supportive lads. No one gets left behind!